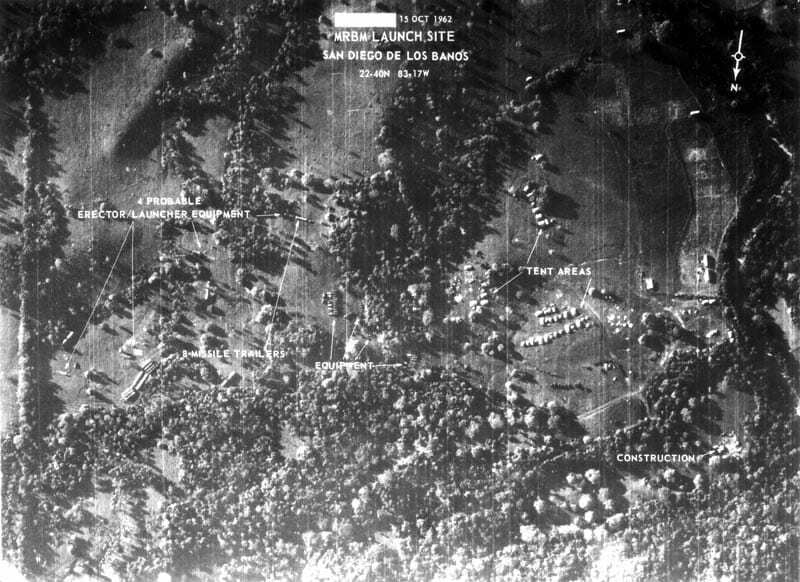 An American U-2 reconnaissance aircraft high over Cuba took photos of Soviet missile sites capable of launching nuclear warheads at the United States, just 90 miles away. That’s how the crisis began. One of many heroes of the 13-day Cuban Missile Crisis – Oct. 16-28, 1962 – was U.S. Air Force U-2 pilot Maj. Rudolf Anderson Jr. In his hometown of Greenville, S.C., neighbors knew him as Rudy. Fellow flyers called him Andy. Had he not become the only American to die in the Cuban Missile Crisis, Anderson might well have urged wider recognition for all of the reconnaissance pilots who challenged Fidel Castro and his Soviet visitors. Anderson wasn’t the only pilot who took photos over Cuba. He wasn’t even the first. Had he not become the only American to die in the Cuban Missile Crisis, Anderson might well have urged wider recognition for all of the reconnaissance pilots who challenged Fidel Castro and his Soviet visitors. According to Soviet Col. Alexander Orlov, in an account published by the CIA, Moscow wanted to “equalize” the threat posed by U.S. missiles in Europe by installing medium-range ballistic missiles (MRBMs) in Cuba. The Soviets sent 40,000 troops (not just 8,000, as the CIA came to believe when the crisis unfolded), 42 MRBMs and 20 nuclear warheads for the missiles. Orlov wrote that the Soviets implemented maskirovka –camouflage concealment – measures, but the deployment of combat equipment and troops on such a large scale proved impossible to conceal from prying camera lenses in the sky, carried by Anderson and other pilots. Based on imagery from Corona satellites that made him suspect a Soviet build-up, President John F. Kennedy ordered a U-2 flight over Cuba on Oct. 9, 1962. The flight was delayed by weather. Although the CIA had developed the U-2, the mission was turned over to the Air Force in the belief that if details became public world opinion would look more favorably on a military reconnaissance plane than one operated by a civilian intelligence agency. Anderson and the other U-2 flyers were members of the 4080th Strategic Reconnaissance Wing at Laughlin Air Force Base near Del Rio, Texas. They were piloting ex-CIA U-2s that had been hastily painted in military colors. He received two awards of the Distinguished Flying Cross for Korea-era flying. 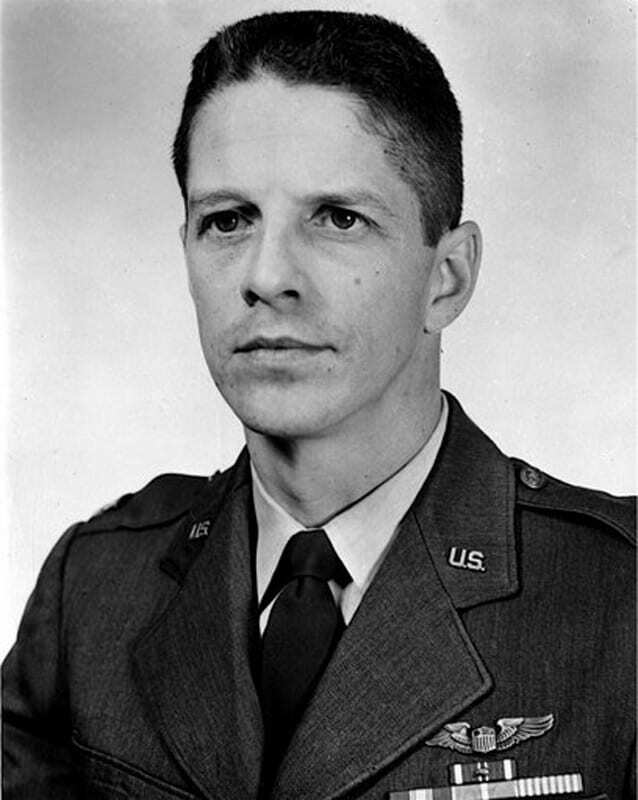 Rudolf Anderson entered the story of the Cuban Missile Crisis when he completed the second U-2 mission on Oct. 15, 1962. He eventually made more flights over the island nation than anyone else. Anderson was born in 1927. He built model airplanes as a child and studied at Clemson University. He entered the aviation cadet program in 1950, and piloted RF-86A and RF-86F Sabres during the Korean War. In later years it was revealed that some RF-86F missions were flown over Chinese and Soviet installations. He received two awards of the Distinguished Flying Cross for Korea-era flying. In 1957, Anderson was in the first cohort of airmen – with Heyser – selected to fly the top secret U-2, often flying at altitudes higher than 72,000 feet for extended periods. Analysts eventually concluded, correctly, that the Soviets were installing both R-12 (SS-4 “Sandal”) and R-14 (SS-5 “Skean”) MRBMs. But analysts greatly underestimated Soviet troop strength and did not know that Soviet commanders in Cuba were given local authority to release nuclear warheads under some circumstances. Also unknown to analysts: The Soviets had deployed tactical nuclear weapons to repel any U.S. invasion of Cuba. On Oct. 21, 1962, Kennedy decided on a naval blockade of the island nation. Officially, it was a “quarantine” – in legal parlance, a less warlike term than blockade. A new book by former Washington Post reporter Michael Dobbs, claims that the destruction of Anderson’s U-2 was closely linked to the deployment of Soviet nuclear cruise missiles near the U.S. naval base at Guantanamo. Behind the scenes, the United States negotiated to remove some of its own MRBMs from bases in Turkey if the Soviets would withdraw nuclear arms from Cuba. On Oct. 23, looking for Soviet action in response to what some perceived as an ultimatum, Kennedy sent six Navy RF-8A Crusaders (which had been designated F8U-1P before Oct. 1) over Cuba. Air Force RF-101C Voodoos also made flights over the island and U-2 missions continued. On Oct. 24, U.S. forces went to DEFCON 2 alert status, the highest in U.S. history and one notch below all-out war. The following day, for the first time, surface-to-air missiles were sighted near a U-2. At the time, Anderson was preparing for what became his sixth U-2 flight of the crisis on Oct. 27. That morning, Anderson made a pass over Cuba and was approaching the shoreline when the Soviets fired two surface-to-air missiles at his U-2. One exploded behind Anderson and sent shrapnel into the cockpit, puncturing his pressure suit. He probably was killed instantly. His U-2 broke apart, plummeted at least 60,000 feet, and crashed on Cuban soil. One Minute to Midnight, a new book by former Washington Post reporter Michael Dobbs, claims that the destruction of Anderson’s U-2 was closely linked to the deployment of Soviet nuclear cruise missiles near the U.S. naval base at Guantanamo. Soviet generals feared the U-2 had uncovered the forward launch position of the cruise missiles, just 15 miles from Guantanamo. The day Anderson died was the day a letter from Soviet Premier Nikita Khrushchev – his second outreach to Kennedy – proposed a trade of Soviet missiles in Cuba for U.S. missiles in Turkey. The following day, Khrushchev announced that he’d agreed to withdraw his missiles from Cuba. Many viewed the crisis as one in which a strong young U.S. president had forced the Soviet leader to back down. The true situation was more complex and the final result was a compromise. U-2 pilot Anderson has been honored in various ways. On Oct. 27 of this year, officials in Greenville were scheduled to rededicate a city park named in honor of Anderson. 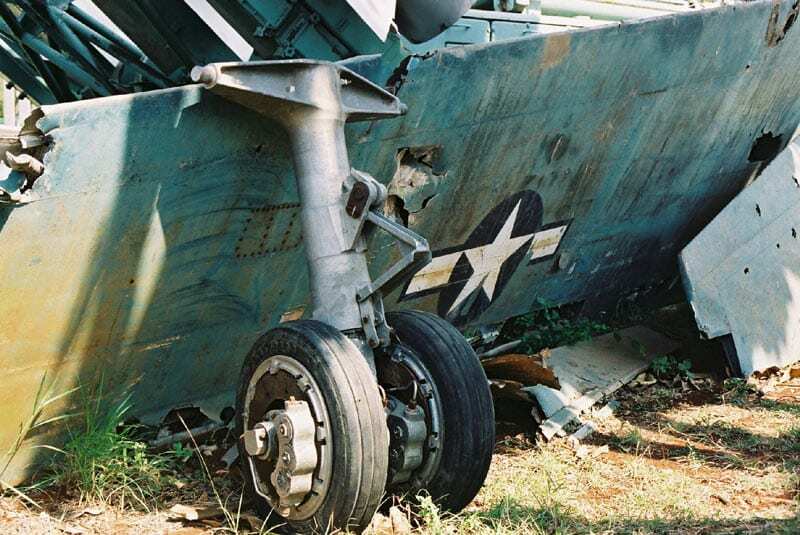 The park is home to an F-86 aircraft intended as a gesture toward Anderson’s Korea service, although the plane on display is the F-86H model, which never reached Korea. Heyser later told friends – often – that at the meeting Gen. Curtis LeMay, the Air Force chief of staff, pulled Heyser aside and said that because Anderson was dead and he wasn’t, Anderson was going to be the hero of the crisis. Just days after the crisis ended, Heyser was invited to the White House to receive Kennedy’s thanks for taking the Cuba photos. Heyser later told friends – often – that at the meeting Gen. Curtis LeMay, the Air Force chief of staff, pulled Heyser aside and said that because Anderson was dead and he wasn’t, Anderson was going to be the hero of the crisis. Air Force accounts gave Heyser and Anderson equal credit for taking the first photos and Anderson posthumously became the first recipient of the Air Force Cross, the nation’s second highest award for valor. The citation accompanying the award recognizes Anderson for all the U-2 flights he made, not solely the one in which he lost his life. Heyser and nine other Air Force U-2 pilots who flew missions identical to Anderson’s received the Distinguished Flying Cross but – except in the immediate aftermath of the crisis – little public attention. Rudy Anderson is sometimes called the forgotten hero of the Cuban Missile Crisis, but few Americans today have a strong recollection of Heyser or the others who shared dangerous missions with him. Thank you for using and crediting my photo in your article. My wikipedia username is Vansara. If you Google “George N. Teichrib”, and click any of my Panoramio links you will find a full spread of the U2 and V75 display that was at the Museo del Aire in Havana, Cuba. Thanks for shooting the great photo. If you like we could change the credit to your given name. Please let us know.